The road to Yankee Boy Basin from Ouray is rough and you’d probably want a 4WD car for the bumps, though I’ve seen some 2WD cars attempt it, but the trek is worth it in July and August. 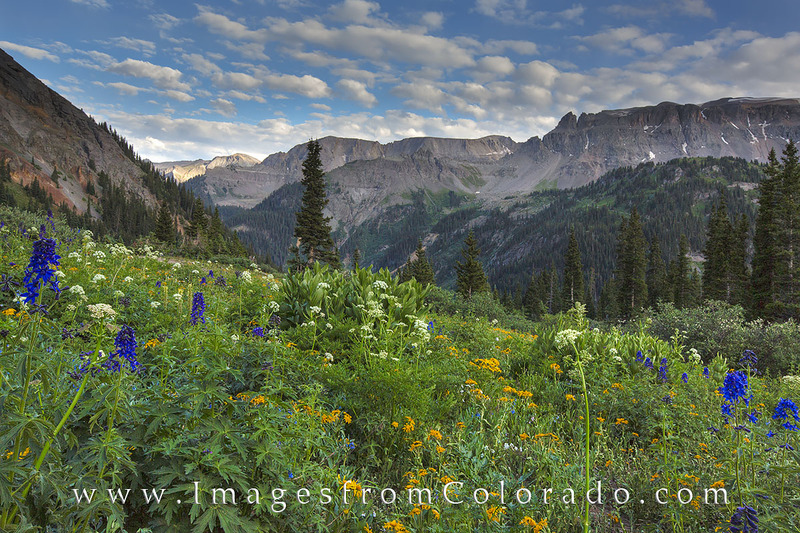 Colorado wildflowers are on full display this time of year in the San Juan Mountains and come in all colors and varieties. This image was taken on a cool summer evening, and the view was amazing. Photo © copyright by Rob Greebon.